The goal of IPM is to eliminate pest problems by strengthening and stabilizing the landscape and creating the proper balance of conditions that are more favorable for plants than for pests. At Terracare Associates, we often recommend this program to our commercial properties, HOAs and public parks, especially those who are interested in a well-balanced approach to pest management. Integrated Pest Management is a 4-step process. The sighting of a few insects does not necessarily pose a threat to the plants on your property. Keep in mind, not all insects require control. Many are not harmful, in fact, some are even beneficial. 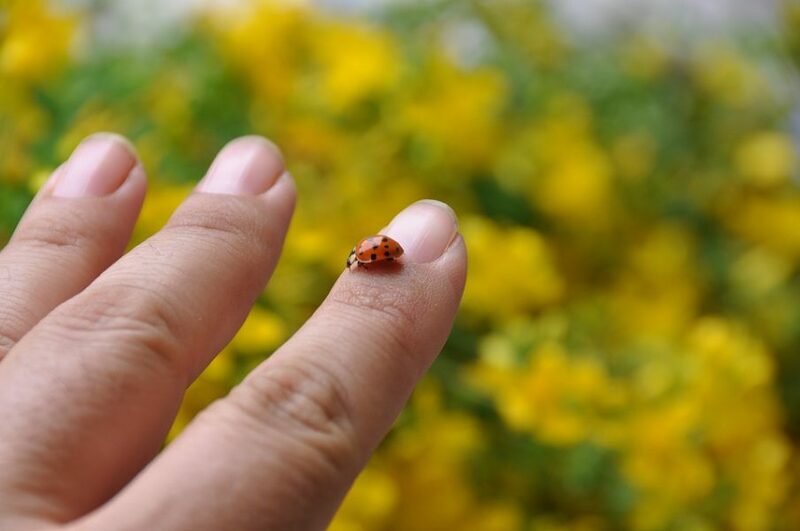 For instance, lady bugs eat aphids and certain wasp species that feed on web worms. A trained landscape professional should regularly monitor your property for signs of harmful pest infestation. While insects are a common problem, they are not the only problem that should be monitored. Your landscape expert can watch for early signs of disease and weeds in turf areas and floral beds. Implementing proper maintenance and lawn care prevention techniques will go a long way in preventing many pests. 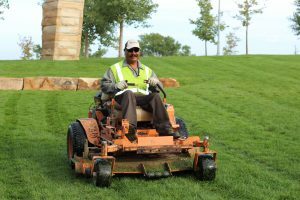 We recommend mowing turf areas at the highest setting for your grass type to promote deeper roots and prevent water loss. Taller grass also cools the soil and reduces heat stress. It is recommended to water turf areas to deeply penetrate the soil twice a week. This will ensure that the grass receives enough water to stay healthy. Frequent watering encourages shallow and weak root systems. Performing a soil test to determine its pH levels will help prevent you from overusing fertilizer. Improper use of fertilizer promotes weed growth and makes plants more susceptible to disease. Various methods are used to control pest problems. 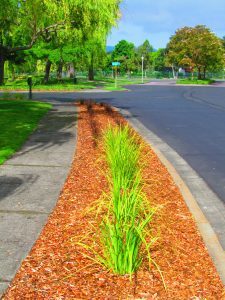 Cultural control methods, such as mulching beds and other areas, help to control weeds. Mechanical control employs the use of devices, such as traps, for rodents and insects. Integrated Pest Management emphasizes nonchemical and biological methods of pest control. However, chemical control is used to ensure healthy plant growth and stability. On large commercial properties, hand-pulling weeds is neither practical nor cost efficient. By monitoring, preventing and controlling damaging pests you can reduce failing vegetation, help the environment and save money on replacement plants. IPM gives you a plan to control pest activity on your property, keeping your property looking great for years to come. Contact Terracare Associates for more information about IPM.